I’m excited to tell you about some great shoes, perfect for summer. LifeKix is a small, family-owned company in Boston. 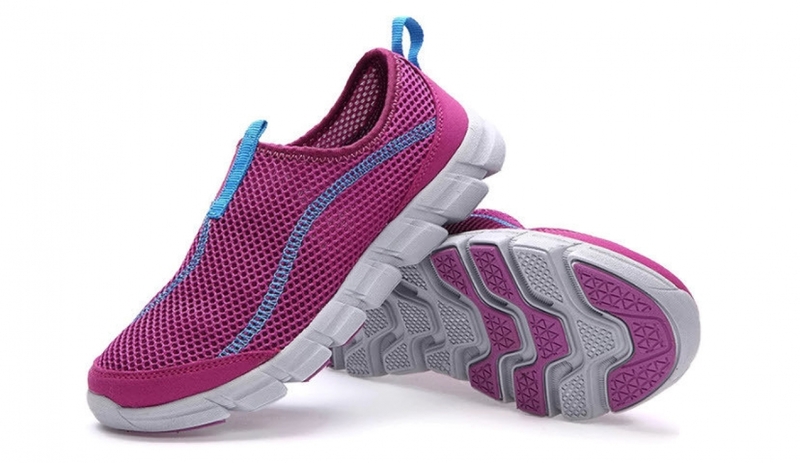 Their first product launch is this women’s mesh shoe. This shoe is designed to wear at the beach, on the lake, at the pool, or just casually around your home. I have worn water shoes that offer no support or any benefits while wearing them. The previous water shoes I have tried weren’t comfortable and certainly didn’t look very fashionable. But LifeKix has changed that. They made their shoe as comfortable as a tennis shoe, but lightweight. They are very breathable and easily wash up with a hose. They even dry quickly. If they get wet, they aren’t heavy and definitely not slippery. I could see my mom using these to do her gardening. They offer support without your feet getting too hot, and when you are done in the garden, just wash them off. I love all the fun colors that are offered, but this purple was my favorite. I have worn them to water my flowers. Usually, I throw on a pair of flip flops and then as soon as my feet get wet, I’m slipping around on my flip flops. No longer an issue with these shoes. 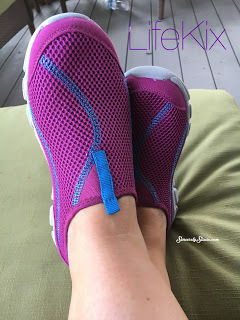 LifeKix Shoes are extremely comfortable. For those who don’t like to go barefoot or wear socks in the house, these would also make a great house shoe. There is the support of a tennis shoe, without the weight of one. I wish I was going to the lake soon because these shoes would work great for getting in and out of the boat or walking along the shoreline. 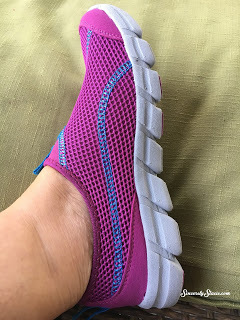 These would also make perfect beach walking shoes, which I am hoping to try out this winter! 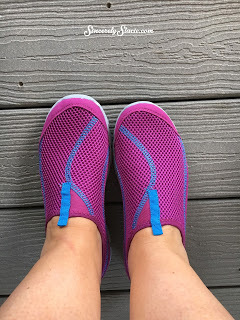 If you are looking for casual, comfortable and fashionable water shoes, LifeKix has found the formula you need to make them your next favorite summer shoe! I highly recommend them! They are in the same price range as the Sketcher GoWalks, but they offer the benefits of wearing in the water or getting wet as well as lightweight comfort! Thanks to the company for sending this product in exchange for an honest review. If you choose to purchase the product through the above link, I may receive a small commission without you having to pay a cent more for your purchase. Thanks for supporting SincerelyStacie.com.